What do Alton Brown, Dustin Hoffman, and Nora Ephron all have in common? 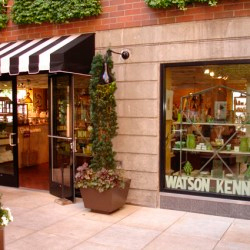 They are all customers of Ted Kennedy Watson’s and his stores, Watson Kennedy. 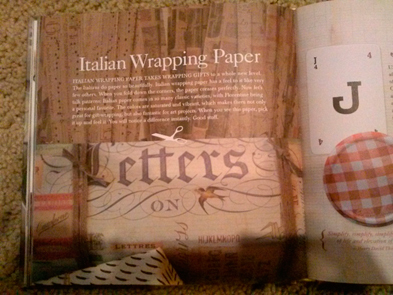 Convivial, charming, and uber- talented, Ted is also a writer of bestselling design/décor books. Destined to be a tennis pro, Ted moved to Seattle after college. A native of Chicago, he says, “wearing tennis whites everyday was not a bad way to make one’s living”, but by the time he turned 30 he was ready to do something different after hitting a tennis ball every day since the age of 9. 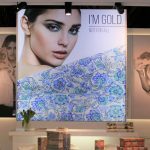 He decided to add retail to the wholesale side of Watson Kennedy and opened his first store, Watson Kennedy Fine Living in November 1998 on his 35th birthday. Located in the heart of Seattle’s amazing Pike Place Market. “I told friends that if the one spot in Seattle that I adored ever became vacant, it was mine. It did”. After signing the lease, his first retail shop was opened in just 23 days. “It was, and remains to this day, one of the coolest retail spots I have ever been to”…..with a view out the huge window of Puget Sound, to boot. 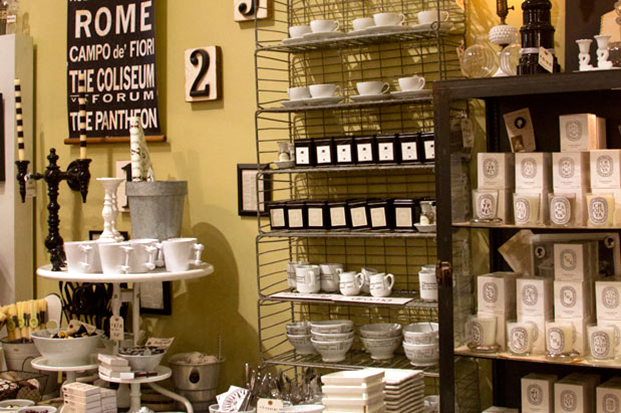 The store has become a Seattle fixture, a must shop for visitors and locals alike. No, you are not in the Left Bank in Paris, but it feels that way! A true pleasure for your senses it has a huge selection of products for bed, bath and body. You can sense Ted’s eye for detail in the wide assortment of International goods and antiques. Rossi1931 is in good company here. 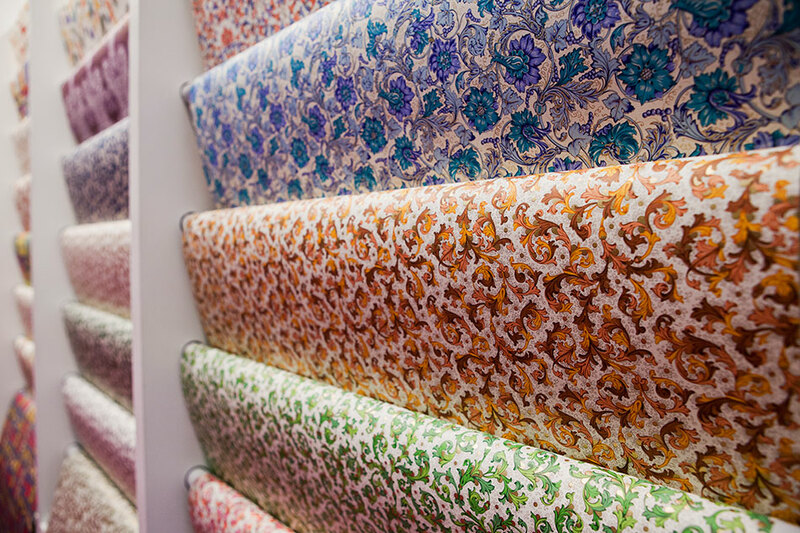 “We sell the gorgeous wrapping paper the best”, say Ted. “We heart Rossi BIG time at Watson Kennedy!! The bonus is that Ted has included one of a kind finds from his travels. 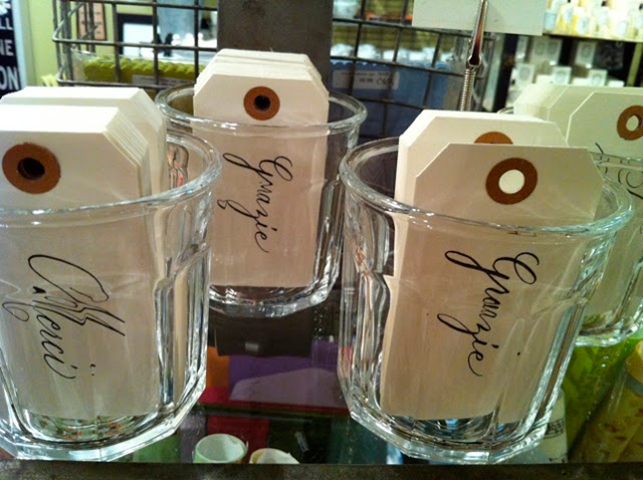 In addition, at his largest shop, there are bath products, candles, jewelry and both vintage and new furniture. See, smell, taste, feel, and hear…..his sense of design and display has always been centered on these; “My concept for interesting design, be it for interiors or the shops, has always been to incorporate the five senses – creating environments that are rich in experience, timeless, and downright stylish.” All of his hand-picked ( and very cool) products: Edith Piaf cd’s, Scottish Raspberry Soap, Maldon sea salt flakes, jonboy caramels , the Ottolenghi cookbook, rolled beeswax candles, French linens , Borotalco Italian Powder and hundreds more… painstakingly displayed by type, color, country of origin, or theme. 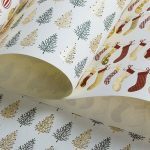 For those of us unlucky to be able to shop in Seattle, Watson Kennedy has a website where you can click or call for your favorite items. It is now read daily by people around the globe in over 40 countries. Ted’s first book, Style & Simplicity was released In May of 2014. It became a best seller right away and went into a second printing a moth after its release. It was the #1 bestselling design/decorating book on Amazon for most of the summer. He wrote, styled and photographed the entirety of the book–highlighting his creative eye and attention to glorious detail. 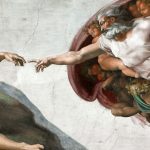 Ted is now working on his second book. 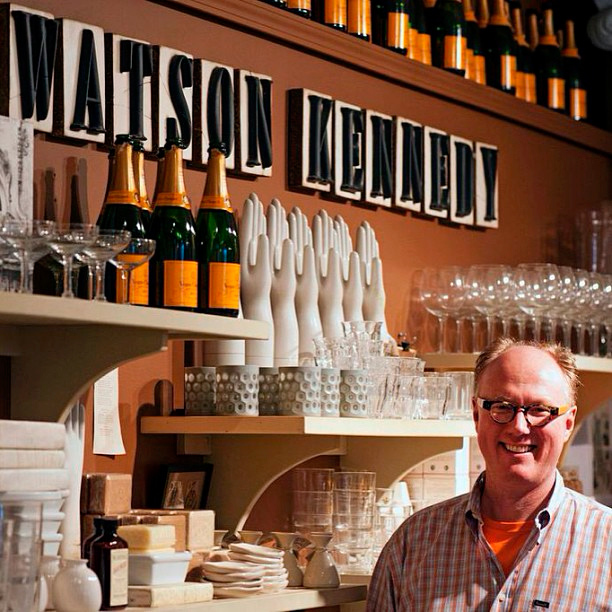 Since I wandered into his amazing store Watson Kennedy in Seattle last January I have followed Ted on his blog and on Instagram. The man has an incredible sense of style and his ‘joie de vivre’ is infectious. The book perfectly captures the essence of his style which I interpret as gather things that you love and have meaning to you and use them to decorate your home. 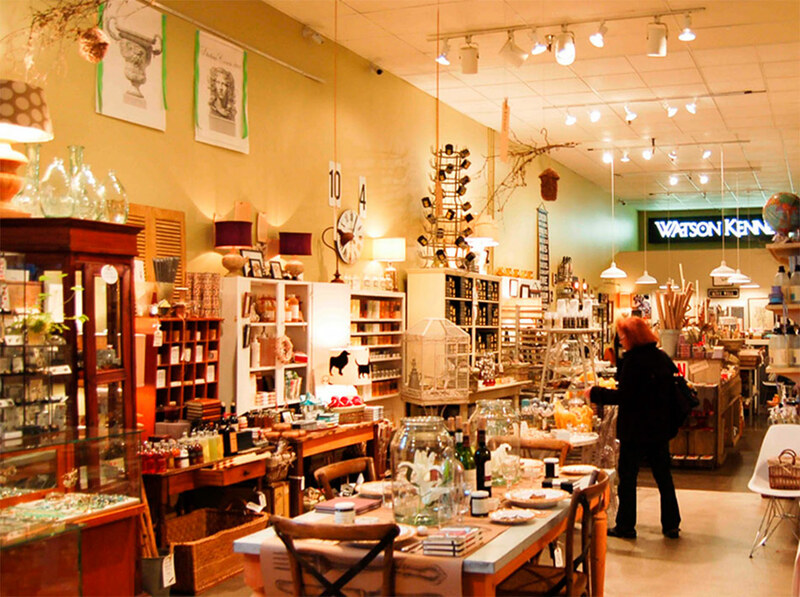 Over the years, and with mentions in national magazines, the store has developed a following, including notables like The Barefoot Contessa, Ina Garten, to whom Watson sends packages of her favorite French tea (Mariage Freres’ Marco Polo). He has had his homes, shops, and goods featured in House Beautiful, In Style, Allure, Country Living, Lucky and Domino magazines. A page from Ted Kennedy Watson’s bestselling book, Style and Simplicity. Ted, we are big fans……. 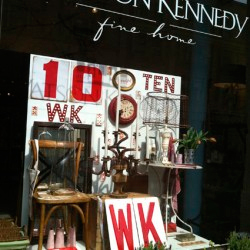 Visit Watson Kennedy while in Seattle at Pike Place Market or First and Spring.